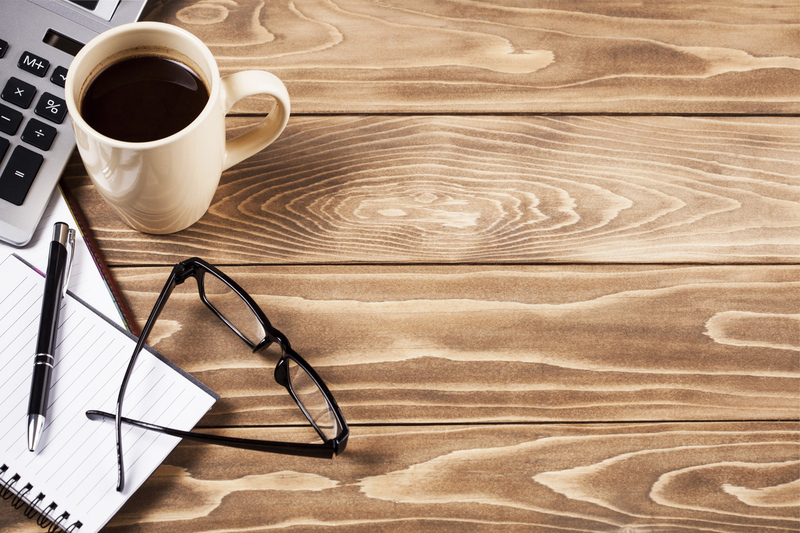 Copy Service Fee Schedule - A Case For $250 - ScanFiles, Inc.
I’ve been blogging lately at ScanFiles.com/Blog regarding various issues that might be re-negotiated in 2019 for the Copy Service Fee Schedule. The DWC has shown some willingness to revisit this fee schedule soon. This week, I thought I would discuss the AMOUNT of the fees… why they are at the level they are today, what we might expect in the next schedule, and then some figures that might make more sense given the spirit of what the DWC was originally trying to accomplish. I like to summarize each post “up front”, for those who don’t want to read all the DETAILS. The bottom line is that I expect the DWC to open with just a “cost of living” increase to the existing fees, otherwise known as a COLA. 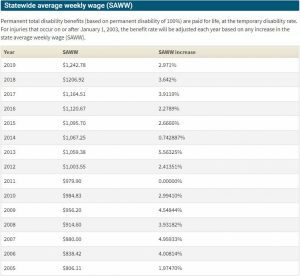 There are well established COLAs used by the DWC for Temporary Disability and Total Permanent Disability, and that is the change in the State Average Weekly Wage (SAWW). If the DWC applies those same increases to the $180 flat rate it will jump to $204 for 2019, and the “no record” fee of $75 will jump to $85, and so on. While I’m sure the copy services would appreciate a COLA bump, and the employer side would tolerate a simple COLA increase, there is a strong argument that the DWC made an inadvertent ERROR when they calculated the fees in 2015. The CORRECT fee for copying should have been $220, rather than 180… and with a COLA increase, the 2019 fee for copying should be set to $250. THAT’S my story, and this is fully supported by the FACTS and the official DATA used by the DWC to formulate the schedule in the first place. Before you write me off as some copy service owner who simply wants drastically higher fees in the Schedule, hear me out on this. I have zero interest in any copy service today, so whatever values are set for 2019 mean nothing to me… I simply have the knowledge and experience to tell you what happened, what probably SHOULD have happened, and give you some context for what the fees really should be for 2019. The applicant copy service data the DWC used to create the current Fee Schedule was actually gathered, delivered and explained to the state researchers by ME, personally. At the time, I was the CEO of a large applicant copy company that had hired our own political lobbying firm, and I was the Legislative Chair and a founding Board Member for the California Workers Compensation Services Association (CWCSA). We knew a fee schedule for copy services was in the works, so I contacted some of the other CWCSA members and put together a very large data set (598,342) of paid applicant copy service invoices to be used to prove the market rate for such services, and negotiate with the DWC. 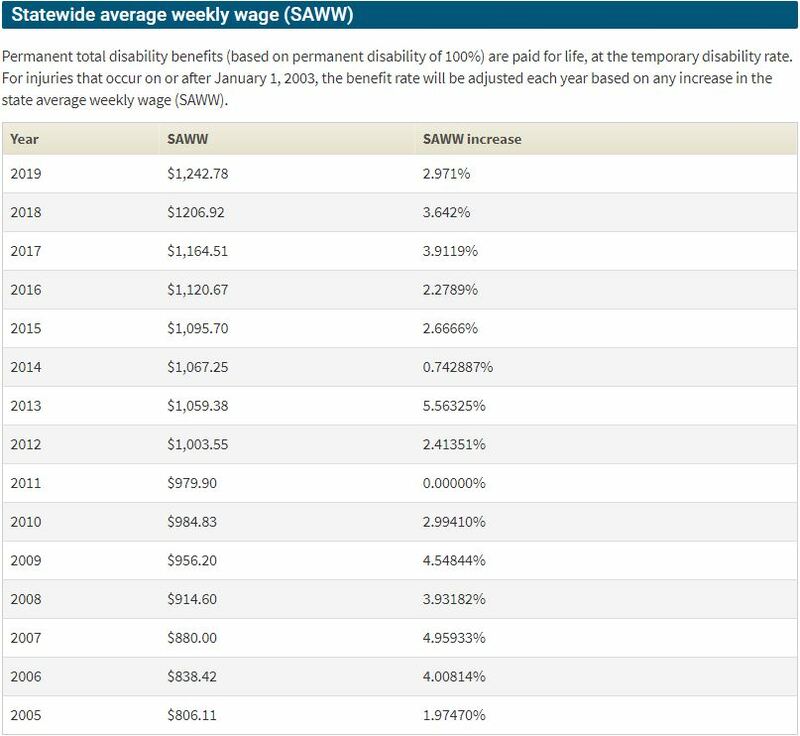 The DWC asked me to contact the Berkeley Research Group (BRG), who had been hired by the Commission on Health and Safety in Workers Compensation (CHSWC) to write a report called “Formulating A Copy Service Fee Schedule For The California Division Of Workers Compensation.” This report was used by the DWC to create the schedule. I met with the BRG researchers in person and by phone on multiple occasions to explain what our data represented, and how the applicant copy services differed from the defense copy services in process and cost. I also met several times with the acting Executive Officer of CHSWC, as well as the current Administrative Director of the DWC and the Director of the Department of Industrial Relations at the time. My point in telling you all this is to show that I am VERY familiar with what is in that BRG report, and specifically what the DWC was trying to accomplish… probably more familiar than anybody outside of the two researchers at BRG that I met with. In the middle of these negotiations I sold my interest in that copy company and a successor took over my role, including my role in dealing with the DWC. So, I was on the sidelines for the FINAL negotiations in 2014-2015, but the numbers the DWC published in the final version of the 2015 fee schedule make it abundantly obvious to me exactly what happened. The BRG study suggested TWO different FLAT RATES; a fee of $103.55 if the Invoice was paid promptly without dispute (see top of page 4), OR $251.20 if the employer disputed/delayed the payment (page 8, last paragraph). They called this “Tiered” pricing (see page 4, first paragraph), and in both Tiers the fees were to be used regardless of the number of pages, from 0-1000 pages (see page 3, last paragraph). I want to point out that on page 12, last paragraph, BRG explained that the lower Tier price of $103.55 did NOT yet include any value for witness fees, subpoena prep, mailing, or personal service of the subpoena on the witness… but that the higher-Tier price of $251.20 DID include those additional services and underlying costs. So, the two fees were not quite an Apples to Apples comparison as provided in the report, and when the report was publicly presented at a CHSWC meeting in October of 2013, both the applicant and employer sides DISLIKED the Two-Tiered Pricing approach. The report was eventually sent by CHSWC to the DWC to further refine the suggested fees into a more amenable (to both sides), single-Tier final fee schedule. The expectation was that the DWC would “split the difference” between the two prices, given that some invoices would be paid timely, and some wouldn’t. Sure enough, the DWC came up with is a flat fee for copying of up to 500 pages for $180, which is almost an exact “split” between the average for defense copy services in the study (Exhibit 3a – Mean) and the average fees paid for applicant copy services (Exhibit 4a – Mean). In other words if you take the 108 and 251 from the study data tables and divide by two for the average, you get exactly $180. So, the DWC simply split the difference, and if they had stopped right there, I would agree they completed the task accurately. …. but the DWC DIDN’T stop there. In an effort to further refine the schedule the DWC CARVED OUT a subcategory of the Invoices from the BRG study and arbitrarily reduced the value of those to only $75. This lower fee was for when NO records were copied, or what we call “Certificate of No Records.” I think the DWC (and everybody else) underestimated the dramatic effect this additional step made on the VALUE of the applicant copying services. The BRG study presented ONE VALUE for each Tier that represented the average PAID invoices for copy services for ALL types of services including zero pages, up to a maximum page count. So, it’s important to take note of HOW the DWC carved out those additional CATEGORIES of flat fees from BRG’s SINGLE values that were provided in the study. Simply “splitting the difference” of the overall averages for ONE category of Invoices (when pages are copied) but failing to take into account the fact that other categories in the underlying base value will be carved out and priced differently will completely change the outcome. That first set of numbers, “($75 * 28%)” is the representation of CNRs from the BRG data. The second set of numbers, “($180 * 72%)” is the representation of the copied records (more than zero pages), and the final $150.60 is the AVERAGE value now for ALL the Invoices. By setting the copied invoices to $180 and the CNRs to $75, the applicant copy services ended up with an AVERAGE FEE of only $150.60, instead of the “split the difference” price of $180. Think about this… BRG gathered and studied all the data in depth, talked to representatives from both sides, and then suggested a low of $108 and a high of $251, and rather than go with the middle at $180, the DWC gave the applicant copy services only $150. Okay, you may be thinking, but maybe the DWC never actually intended to split the difference, and fully intended to give applicant copy services an average fee of only $150, including making them absorb all the Release of Information (ROI) fees at Cal Code of Regs. Section 9983(e). For one thing, the BRG report stated at the bottom of page 12 and top of page 13 that the BRG-suggested fee, which was based on the defense copy services blended with data from other states, DID NOT INCLUDE WITNESS FEES, SUBPOENA PREPARATION, MAILING, OR PERSONAL SERVICE OF THE SUBPOENA ON THE WITNESS… and the applicant suggested fee of $251.20 DID include all those incidental services. BRG went on to suggest that fees for those incidentals would be IN ADDITION TO their suggested lower-Tier flat fee. Furthermore, the final fee schedule made the dubious rule that the applicant copy service be entirely responsible for all ROI fees, which ALSO were not included in the BRG-suggested lower-Tier price. So, if you take the BRG’s suggested fee of $103.55 and add witness and ROI fees (combined) which most agree averages about $30 per location/transaction, plus personal service of a subpoena ($25), and add a fee for Subpoena prep and mailing of $5, the actual BRG-suggested lower-Tier flat fee goes up to $163.55, which is even MORE than what the applicant copy services actually received as an average fee under this Schedule. I don’t believe the DWC deliberately gave the applicant copy services a fee schedule that netted them LESS THAN the defense and “other state” copy services were being paid. I think the people at the DWC simply didn’t realize the logic error in how changing the CNR fee would affect the overall VALUE of the applicant services under the schedule. And neither did any of the copy services at the time, because NOBODY that I talked to or read the public comments from made any sort of fuss about the TRUE average fees the applicant copy services were getting. Everybody was assuming they were getting an average of $180 which “split the difference” between defense and applicant copy service average fees. Even if you disagree with my suggested prices of the Subpoena and witness fee incidentals, if the DWC actually INTENDED to make it seem like they were splitting the difference and in fact KNEW they were giving applicant copy services only $150, then that’s pretty dirty. The fee schedule was never advertised as $150… it was always advertised as $180. Again, I don’t buy a scenario where the DWC was deliberately deceiving everybody to stick it to applicant copy services. Nothing about that process seemed to me like the DWC/CHSWC was being anything other than transparent about all this, so the only conclusion I can support is that the DWC simply made an error, and priced the Copying fee inaccurately. WHAT SHOULD THE FEE HAVE BEEN? 72 Invoices @ $220 = $15,840 …. and 28 Invoices @ $75 = $2,100 …. together that is $17,940 ….. and divided by 100 is $179.40. If you want it to work out EXACTLY an average of $180 then the Copy (more than zero pages) invoices needed to be priced at $220.83 each. So, it is my opinion that the applicant copy services were inadvertently HARMED in the 2015 Copy Service Fee Schedule, and the reason was simply that those developing the final figures did not fully understand the DATA they were looking at, and how their changes affected the outcome. The Labor Code at Section 5307.9 authorized and instructed the DWC and CHSWC to formulate a copy service fee schedule. CHSWC hired the Berkeley Research Group (BRG) to study the industry and provide data that could be used to build a Fee Schedule. The BRG study suggested that there be TWO flat fees in the Schedule regardless of page counts, a fee of $103.55 (not including Subpoena prep, service, or witness fees) when the invoice is not contested, and a fee of $251.20 when the employer contests/delays the invoice. Not wanting a two-Tiered schedule, the DWC took this data and attempted to “split the difference” and have only ONE flat fee for Copied records, which they set at $180. Unfortunately, either through an error in the their calculations OR possibly a mean spirited attitude towards applicant copy services, the subsequent fee schedule created additional categories of fees that gave the applicant copy services a much LOWER average fee than was suggested by BRG. In this next fee schedule negotiation cycle, the DWC should consider re-calculating the flat fee for copying that is known as Cal. Code of Regs. 9983(a) and change it from $180 to the correct $220, and THEN allow for a COLA increase every year since 2015. For 2019, the fee at subsection (a) should be $249.10 (or round up to a flat $250), including the COLA. Since the DWC wanted the fee for CNRs to be $75, that should stay the same except for an increase for COLA, making the 2019 fee for CNRs $84.60. If the DWC saw fit to change the schedule to these values, the schedule would accurately reflect what BRG presented and suggested, but merge the two-Tiers into a single flat fee for Copied records and CNRs.